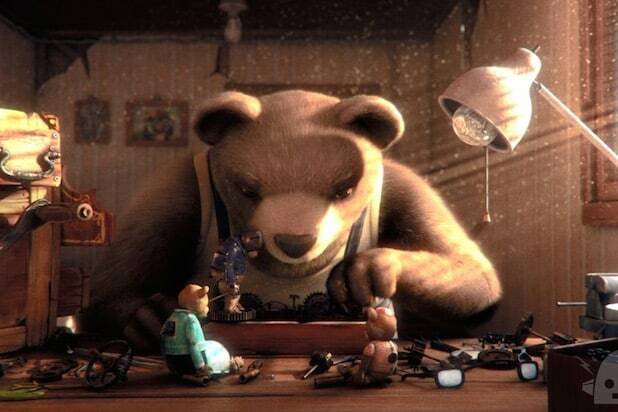 Gabriel Osorio’s short film “Bear Story” is an ingenious, dazzling piece of 3D animation, the sad story of a lonesome bear who builds an elaborate mechanical diorama in an attempt to remember (and perhaps recover) the life he used to live with his wife and son, before he was ripped from his home and sent to a circus. But audiences in Osorio’s native Chile immediately know that it’s more than that — it’s also an allegory for the way families were torn apart during the murderous Pinochet regime in Chile in the 1970s. Osorio made the main character a bear in part because he remembered his grandfather being physically imposing. It took a team of animators at Punkrobot, a Chilean animation company founded by Osorio and two friends, two years of steady work to make “Bear Story” — but those two years were spread out over about five years in total, interrupted by other projects the company is working on. Punkrobot currently has two animated series on Netflix in Latin America, but the company is exploring options to dub the shows into English and bring them to the American market.